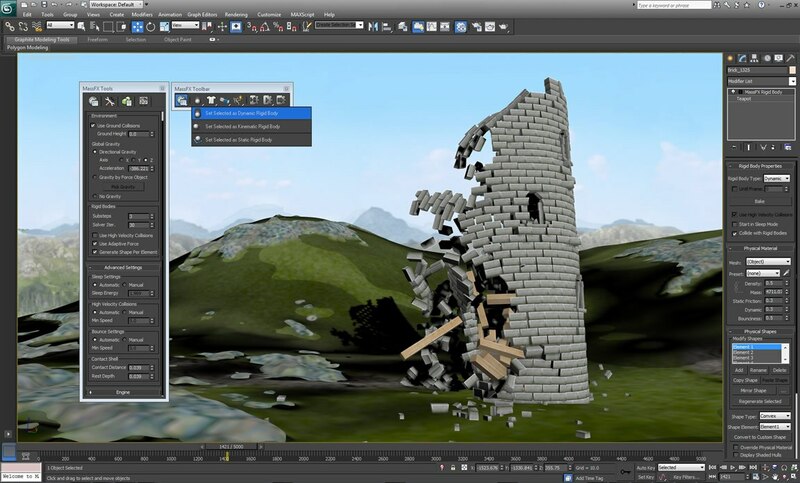 3ds Max® 3D modeling and rendering software helps you create massive worlds in games, stunning scenes for design visualization, and engaging virtual reality (VR) experiences. 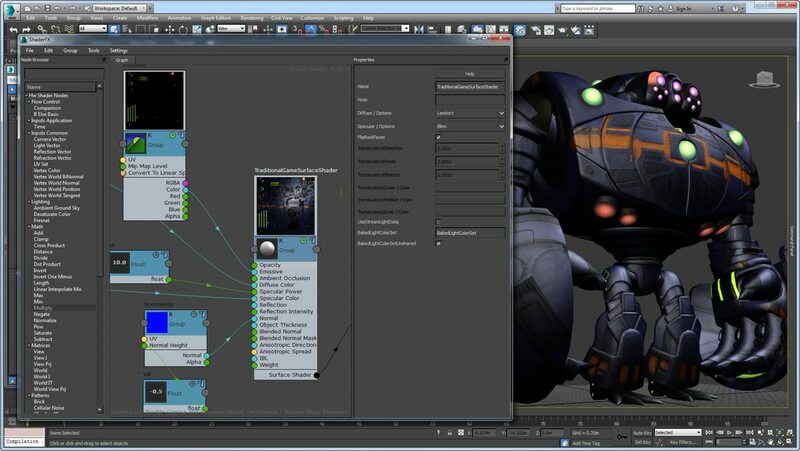 View MAX files using Forge Viewer in a web browser to review and share assets. Trackview improvements, such as a new layout, that cater to animators stay persistent between 3ds Max sessions and activations. New tools to manipulate key values and times improve selecting and framing keys in the editor. In the Motion Panel, copy/paste/reset capabilities and fast selection of tracks in list controllers speed up usability. Add data-driven information to your scenes. Edit paragraphs, words, or individual letters. 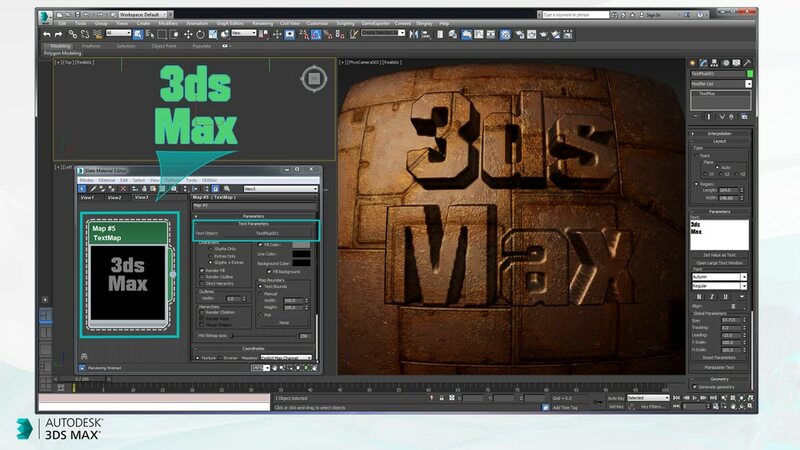 3ds Max also retains information such as font theme, font style, and glyphs when you copy text from Microsoft Word documents, easing your 2D-to-3D workflow. You can now apply textures, animations, and effects to text as an object that automatically updates if you change the content of the text. In addition, when you search for a font, the font style is displayed. 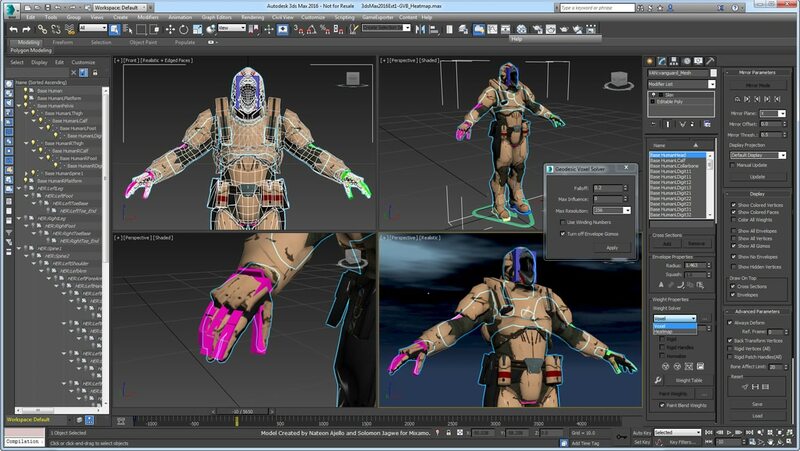 Perform procedural animation and character rigging with CAT, biped, and crowd animation tools. Use the Skin modifier and CAT Muscle for smoother, more precise control of skeletal deformation. 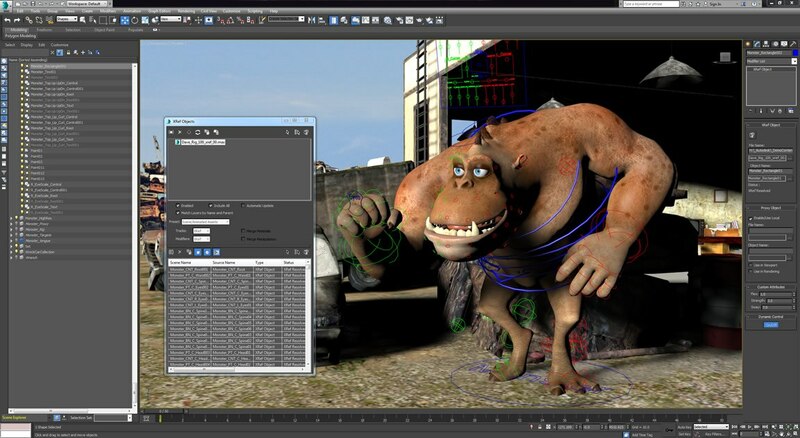 Rig complex mechanical assemblies and characters with custom skeletons using 3ds Max bones, inverse kinematics (IK) solvers, and customizable rigging tools. Wire 1-way and 2-way relationships between controllers to help create simplified 3D animation interfaces. Generate better skin weighting at a fraction of the time. Run Geodesic Voxel and Heatmap skinning outside of the bind pose, and even on selected areas, to refine your weighting in particular spots more easily. Author animation controllers in MCG, using a new generation of animation tools that you can create and modify, package, and share. Includes 3 new MCG-based controllers: LookAt Constraint, Ray to Surface Transform Constraint, and Rotation Spring Controller. Create physically based simulation controllers with MCG and the Bullet Physics engine sample integration. Tell great stories by creating high-quality animated visualizations, animatics, and cinematics more easily and with more camera control. Cut between multiple cameras, trim, and reorder animated clips nondestructively, leaving the original data unchanged. Create better skinned characters with more realistic deformations. Avoid “bow-tie” or “candy-wrapper” effects, in which the mesh loses volume as deformers are twisted or pivoted, which can commonly occur in characters’ shoulders or wrists. This new option in the Skin modifier enables you to paint the amount of influence skinning has on a surface; use it where you need it, and taper off to linear skinning where you do not. Generate believable moving or idle crowds with a high level of control to enrich architectural presentations, or to previsualize a film or video scene. A set of animated characters can appear in common public settings, such as sidewalks, hallways, lobbies, and plazas. Connect walkways into patterns of pedestrian flow with crowd composition tools. 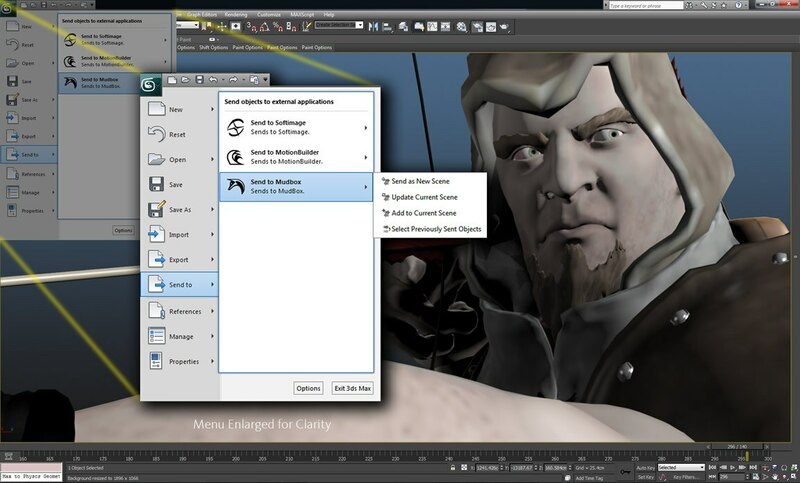 The enhanced populate crowd animation feature offers increased artistic control, better realism, and improved usability. Updated Booleans are double precision, which gives more reliable results. Easily add and remove operands, and sort or create nested Booleans. The Bevel Profile Modifier now includes the same bevel controls found in the TextPlus tool, so artists can create their desired bevel or use the same presets found in TextPlus. Performance improvements speed UV navigation and editing 5-10x. Addressing key user requests, texture creation now has better performance and visual feedback, and more efficient workflows. More consistent tool sets simplify the editing and predicable operation, eliminating steps. Enhancements to selecting and manipulating objects make modeling, animating, and other tasks more efficient and creative. With support for OpenSubdiv, you can represent subdivision surfaces using the OpenSubdiv libraries open-sourced by Pixar. The libraries incorporate technology from Microsoft Research and are designed to take advantage of both parallel CPU and GPU architectures. 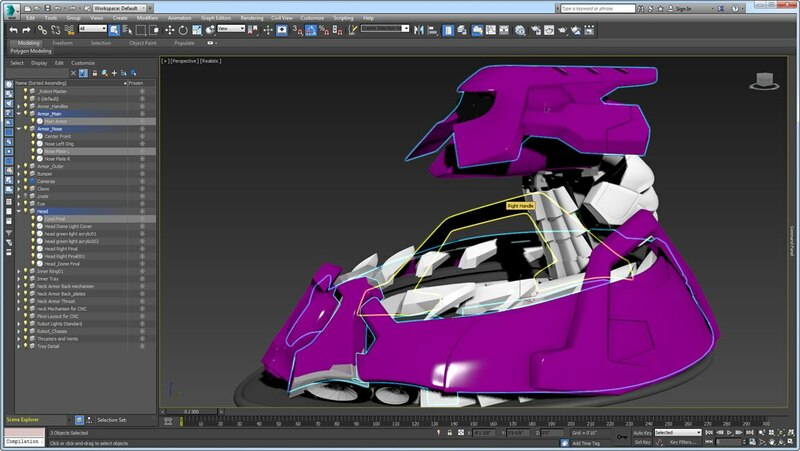 Get more shading options and better shader interoperability between 3ds Max, Maya, and Maya LT. Create a wider range of procedural materials with new node patterns, including wavelines, voronoi, simplex noise, and brick. 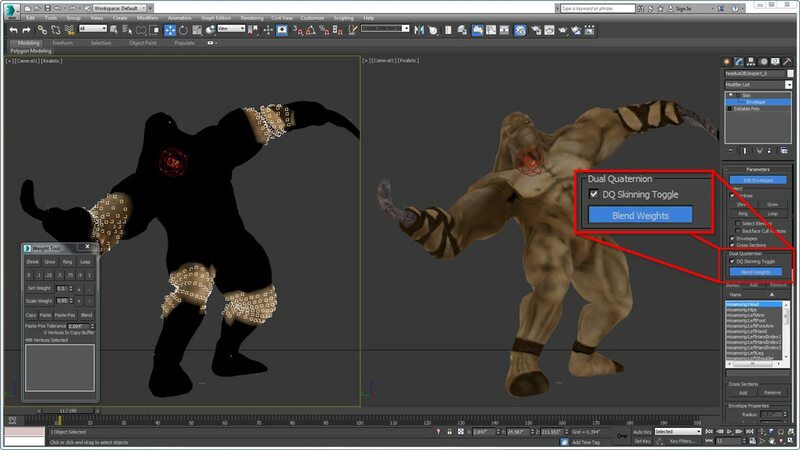 Easily create advanced HLSL viewport shaders with the ShaderFX real-time visual shader editor. Connect different nodes using an intuitive click-drag workflow. Select from an array of floating-point values, mathematical operations, texture maps, normal maps, and color nodes. Easily position and orient content relative to other content in your scene with Placement tools. Take advantage of intuitive auto-parenting and aligning behaviors. Move objects along the surface of other meshes as though magnetically attracted. Create a chamfered or beveled edge between two surfaces consisting of quads, rather than triangles, to help eliminate pinching. Efficiently create parametric and organic objects with polygon, subdivision surface, and spline-based modeling features. 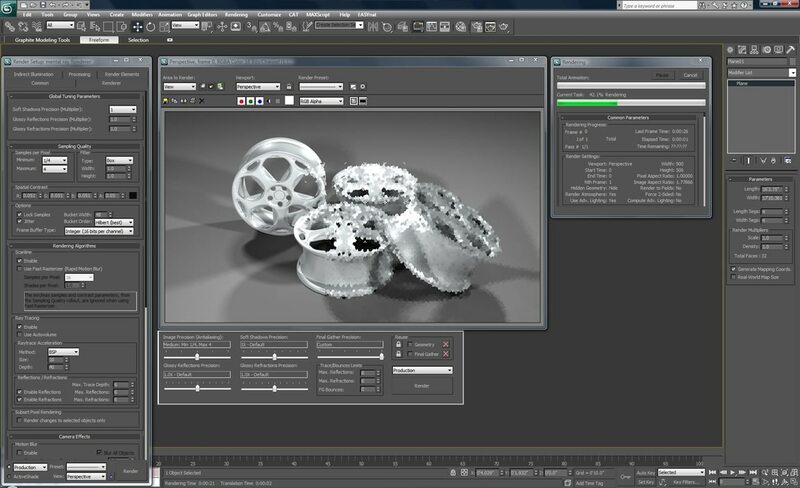 Work with more than 100 advanced polygonal modeling and free-form 3D design tools in the Graphite modeling toolset. Control the number of faces or points in your object with ProOptimizer technology, and reduce the complexity of a selection by up to 75% without a loss of detail. Perform creative texture mapping operations, such as tiling, mirroring, decal placement, blurring, spline mapping, pelt mapping, UV stretching, and relaxation. The Least Squares Conformal Mapping (LSCM) method enables you to minimize texture distortion. Get the look you want for your assets, with tools specifically designed to accelerate the shading and material design process. 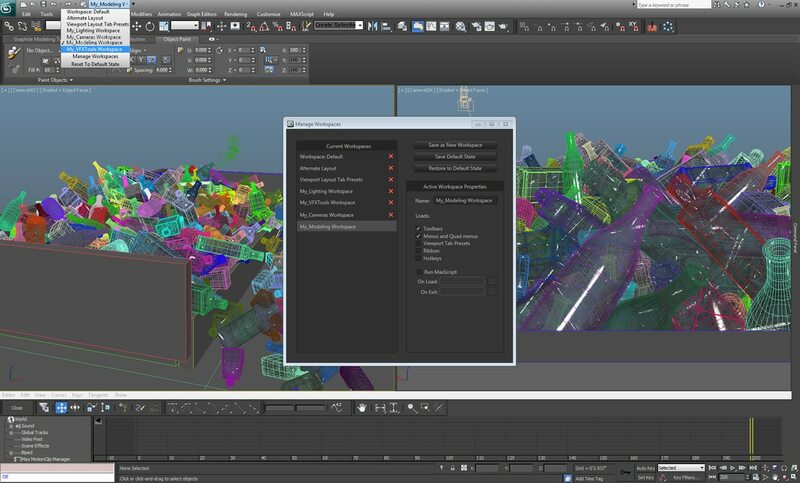 Extensive libraries of textures, images, and procedural maps in the Slate material editor enable you to design and edit complex shading hierarchies. 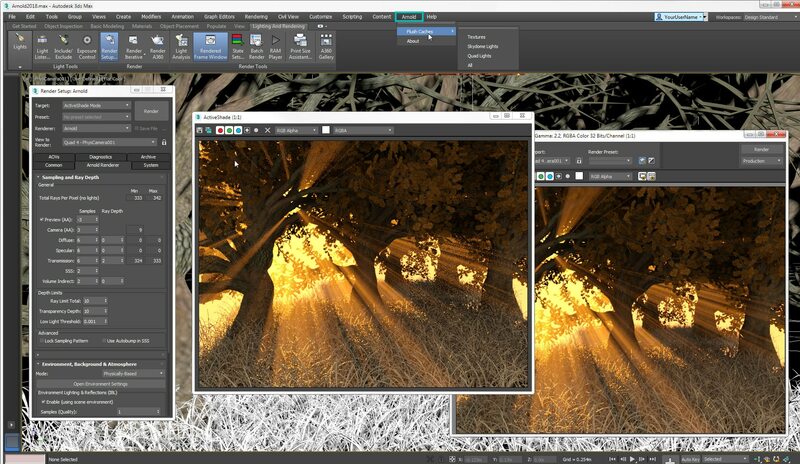 Paint multiple layers onto any map in any material directly onto 3D objects with the intuitive Viewport Canvas toolset. Load vector graphics as texture maps and render them at dynamic resolutions. Zoom in as needed, and graphics remain crisp and clear. Create richer and more dynamic CAD illustrations with support for AutoCAD PAT Hatch Pattern files. Create textures that change over time, with PDF support that includes animated page transitions. Supports AI (Adobe Illustrator), SVG, and SVGZ formats. Unleash your creativity with more than 100 advanced polygonal modeling and free-form 3D design tools in the Graphite modeling toolset and the powerful ProOptimizer. Efficiently create parametric and organic objects with polygon, spline, and NURBS-based modeling features. Articulate minute details and optimize meshes for both interactive manipulation and rendering using subdivision surfaces and polygon smoothing. Create decals and text-based graphics using still or animated 2D objects. By removing the baking step, elements can remain interactive and linked to the original objects. Font changes, content revisions, and shape updates are reflected automatically with this new functionality. 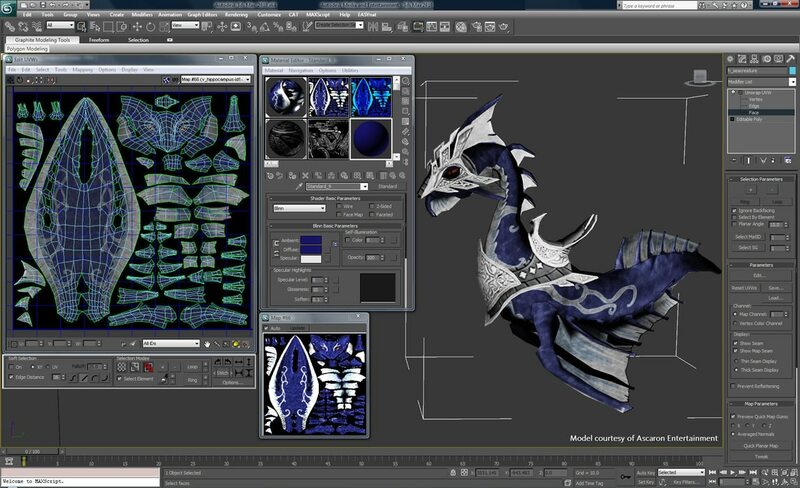 In addition, you do not have to leave the 3ds Max project to use objects as a mask to create custom decals and graphics. 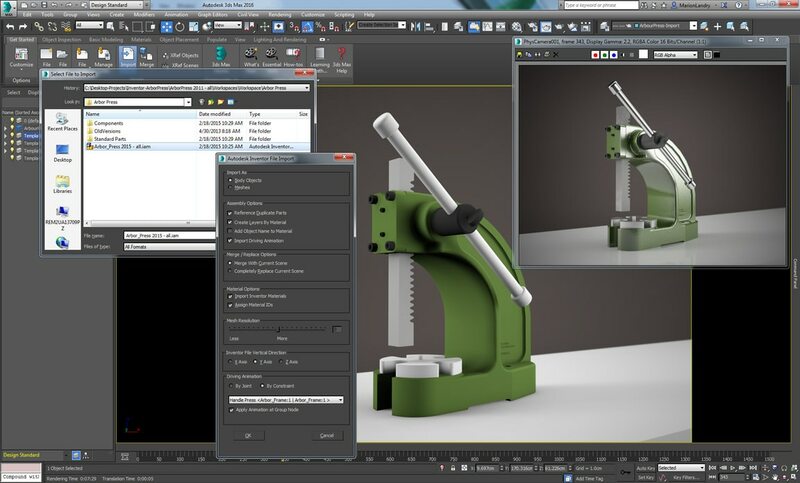 The new ART renderer is a fast, physically-based renderer, ideal for design visualization workflows used in Revit, Inventor, Fusion 360, and other Autodesk applications. With efficient settings, video card agnostic CPU operation, and excellent use of image-based lighting, ART provides quick, photorealistic results for most industrial, product, and architectural exterior rendering. 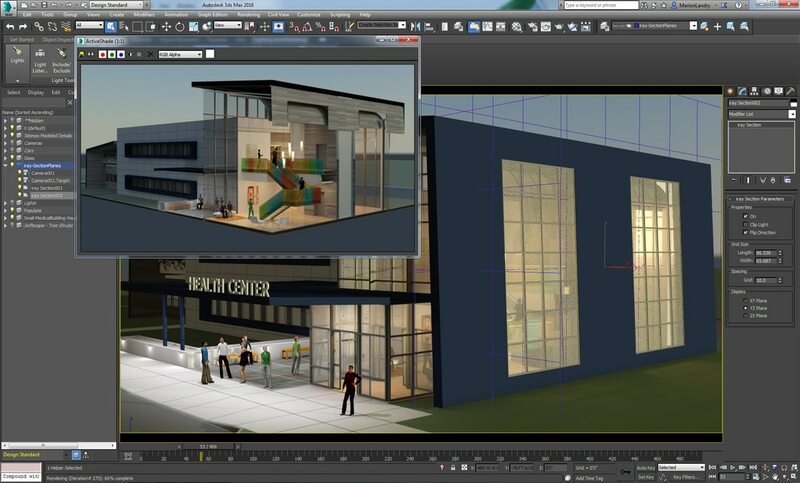 Support for IES and photometric lights from Revit enable you to create highly accurate images of architectural scenes. 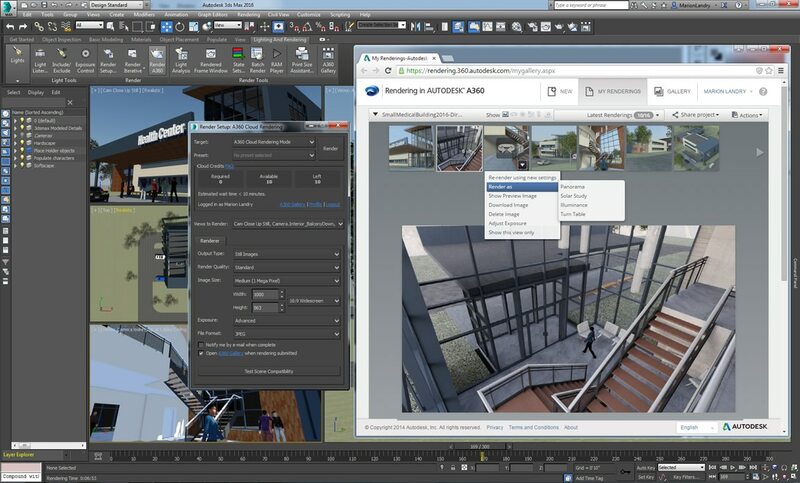 Using the same technology as Revit and AutoCAD, 3ds Max 2017 features Autodesk A360 rendering support for subscription customers. A360 uses cloud computing, so you can create high-resolution images without tying up your desktop or requiring specialized rendering hardware. Create solar study renderings, interactive panoramas, and illuminance simulations. Rerender images from previously uploaded files. Easily share your files with others. Co-developed with Chaos Group, the makers of V-Ray, the new Physical Camera has shutter speed, aperture, depth of field, exposure, and other options that simulate real-life camera settings. 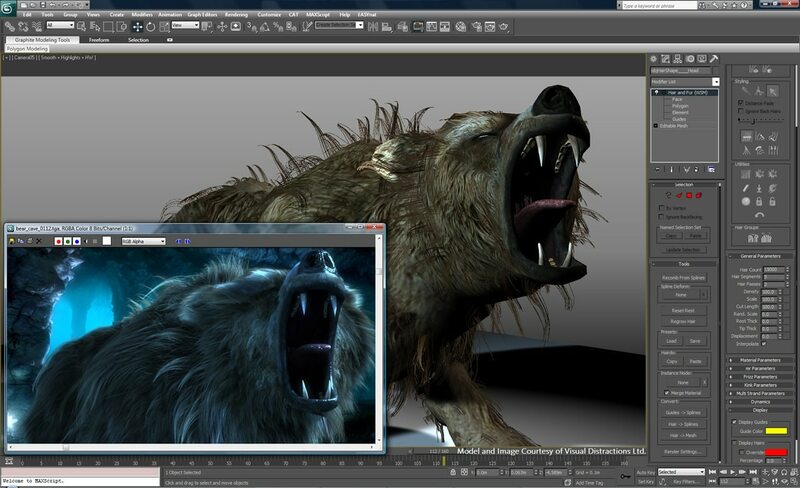 Enhanced controls and additional in-viewport feedback make creating photorealistic images and animations easier. Rendering photorealistic images is easier now, thanks to a number of supported Iray and mental ray enhancements, such as extended Iray Light Path Expressions (LPEs), support for the Iray irradiance render element, and Light Importance Sampling. The ActiveShade preview rendering workflow supports mental ray, NVIDIA Iray, and scanline renderers. 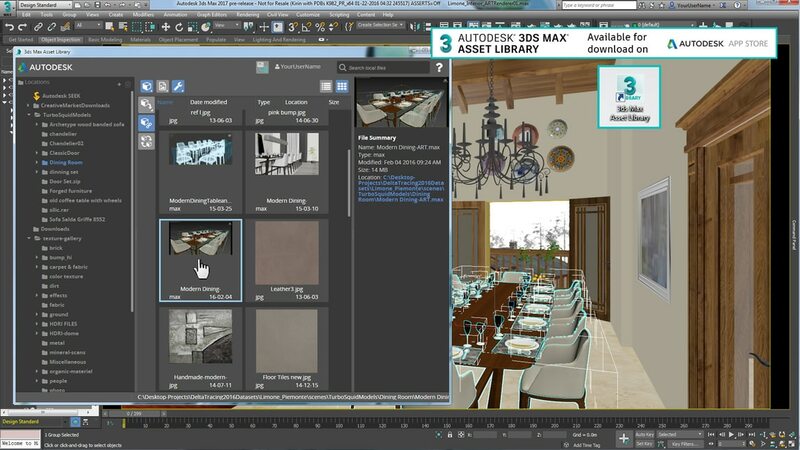 Watch the effects of changing lighting or materials interactively to refine your work. Get finer grain updates with more frequent captures of viewport navigation and switching, adjustments to light parameters, and other scene changes. 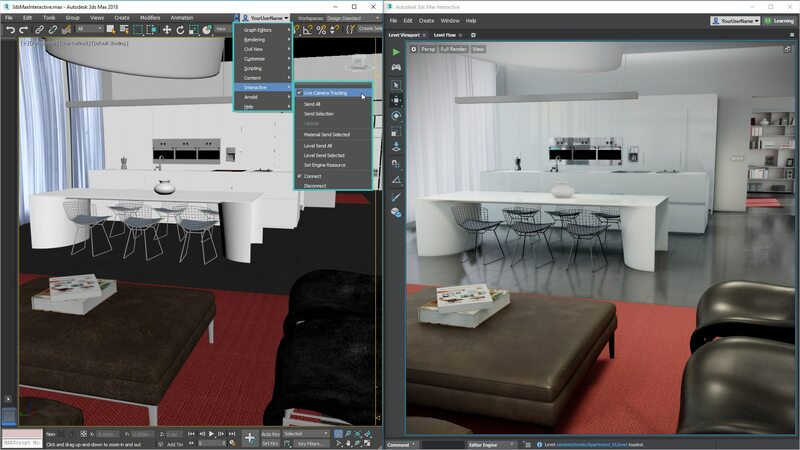 Iray and mental ray are registered trademarks of NVIDIA ARC GmbH, licensed for use by Autodesk, Inc.
Increase interactivity with fast navigation, selection, and viewport texture baking. See particular benefits with dense meshes and scenes with texture maps. Enable anti-aliasing with minimal impact on performance, so you can work quickly in a higher-fidelity environment. Create stereoscopic camera rigs to author more engaging entertainment content and design visualizations with the Stereo Camera feature set. Note: The Stereo Camera feature set is fulfilled through the Autodesk Exchange application store (apps.exchange.autodesk.com). English language only. 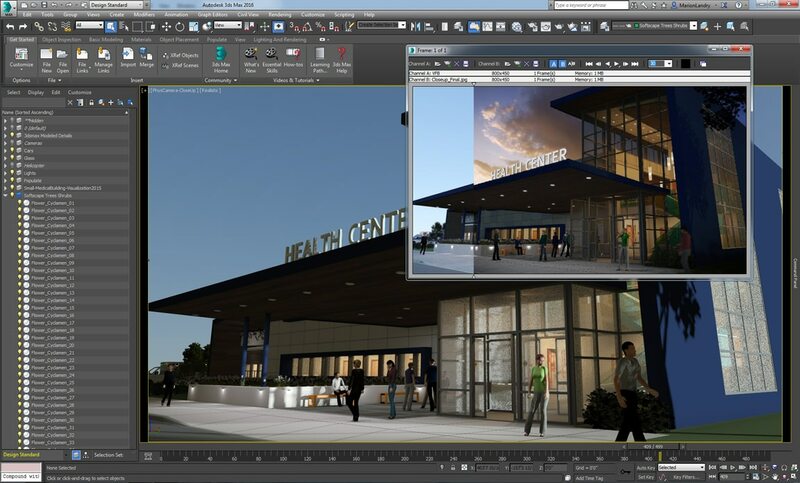 Achieve stunning image quality in less time with powerful 3D rendering capabilities. 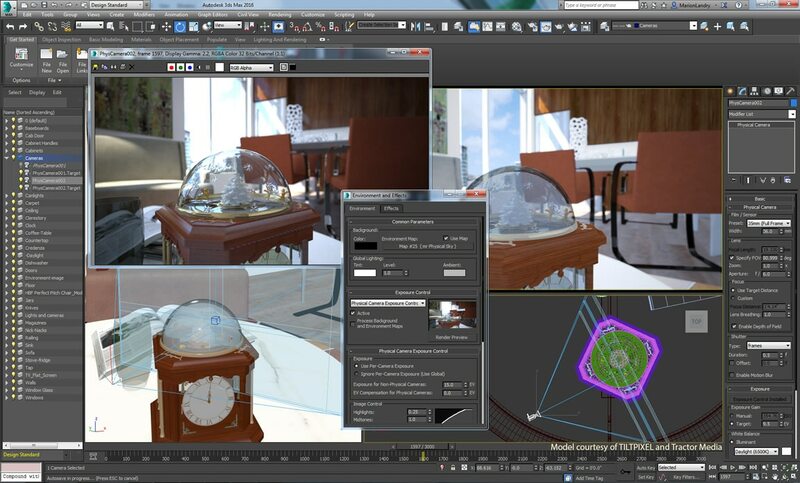 Generate physically correct lighting effects simulations, such as raytraced reflections and refractions, caustics, and global illumination, with the integrated mental ray renderer from NVIDIA. Get more predictable, photorealistic results, using the NVIDIA Iray rendering technology. Make interactive decisions in context with the ability to view most texture maps and materials in the viewport. Segment scenes for downstream compositing. Create render elements for Smoke, After Effects, Photoshop, or certain other image compositing applications. Use a state recorder to capture, edit, and save different states for the scene, such as object modifiers. See how compositing and render elements connect to create the final result in a visual interface. Set up and execute multiple render passes from a single file, and modify individual passes without rerendering the whole scene. Iterate more quickly and handle larger data sets with limited impact on interactivity. Accelerated GPUs and multicore workstations offer dramatically improved interactive performance and visual quality. 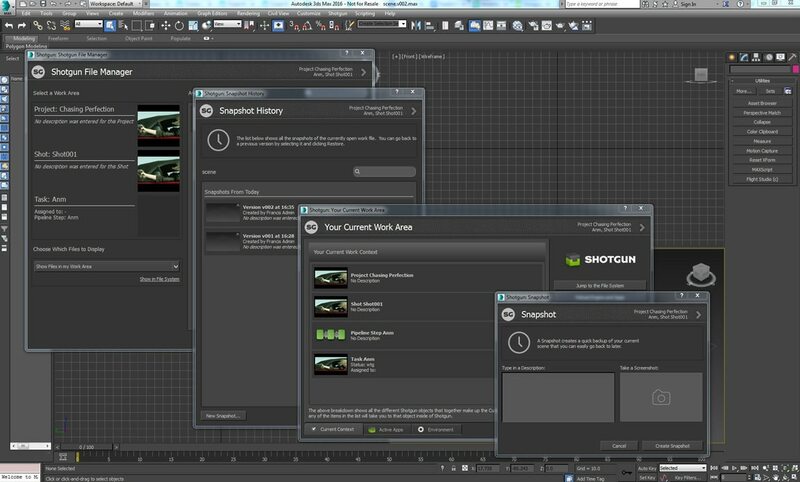 Advanced scene management techniques and multithreaded viewport scene traversal streamline the workflow and make it more responsive. 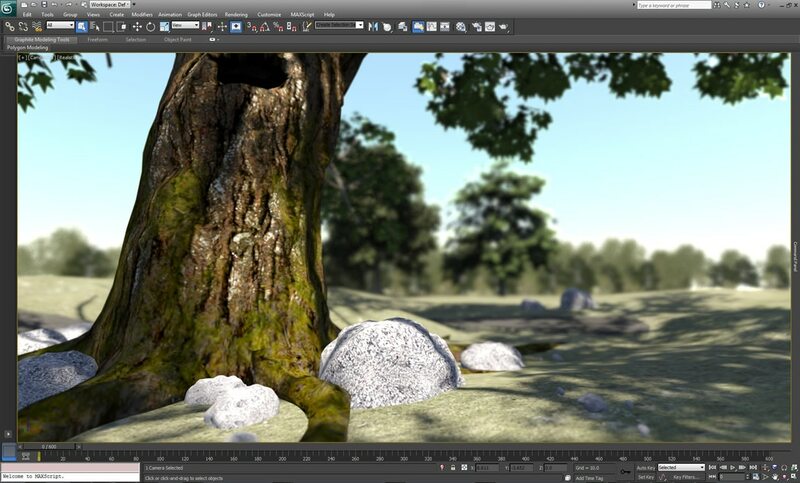 Perform simple compositing operations within 3ds Max with the Slate Compositing Editor. Easily wire together rendered layers and passes, and combine them with compositing nodes (like blends and color corrections) in the schematic node-based interface. You can send the resulting composite to Adobe After Effects or Adobe Photoshop for further refinement. Create sophisticated, realistic effects such as water, fire, spray, and snow. Combine up to 25 different suboperators with the Advanced Data Manipulation toolset to build customized tools. 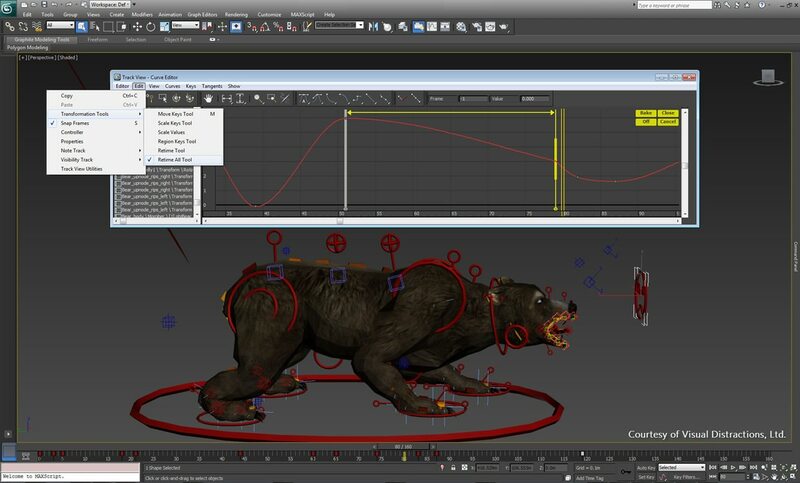 Use mParticles to integrate Particle Flow setups with MassFX physics simulations. Iterate more quickly with 2 Cache operators: Cache Disk offers the ability to precalculate and store Particle Flow simulations as separate files on disk, while Cache Selective enables you to cache only certain data types. 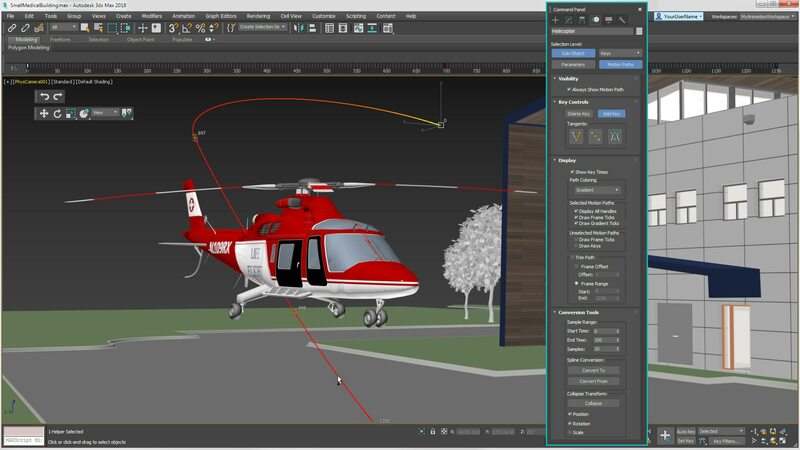 The multithreaded NVIDIA PhysX engine enables you to create compelling, dynamic rigid-body simulations directly in the 3ds Max viewport with mRigids. 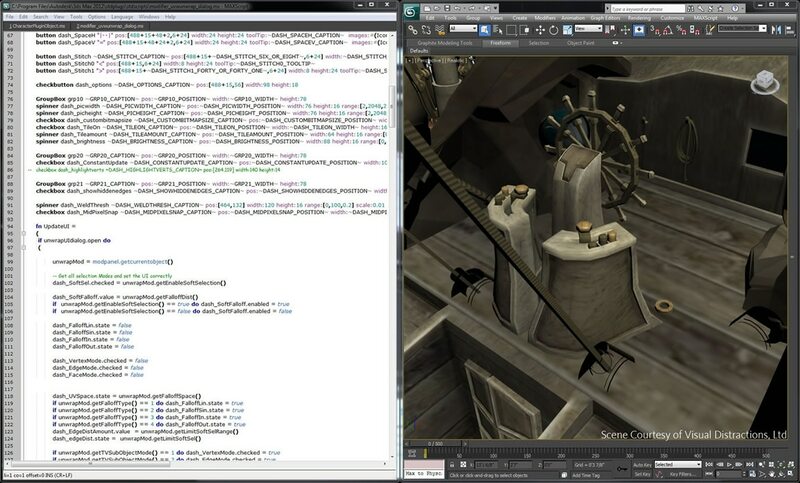 Apply the mRigids solver to skeletons for convincing ragdoll simulations. Create realistic clothing and fabric-like simulations with mCloth. Simulate natural and man-made forces, create and break particle bonds, and collide particles with each other and with other objects using mParticles. Manipulate hair and fur directly in the viewports with selection and styling tools, such as tools for cutting, brushing, and clumping.Add kinks and frizz to hair and animate frequency and speed. Instance any source object as hair strands. Use Spline Deform to add splines to a set of hairs that can act as control guides; pose, key, or assign a dynamic target to hairs.Create realistic dynamic simulations that include collisions, gravity, stiffness, root holding, and dampening. Simulate and analyze sun, sky, and artificial lighting in 3D architectural design with exposure lighting analysis technology. Measure light at a location by generating light-measurement grids of a shape. Generate evaluations of light intensity and indoor environmental quality, such as those required for LEED EQ Credit 8.1. Achieve more sustainable designs by better predicting how light will interact with buildings. 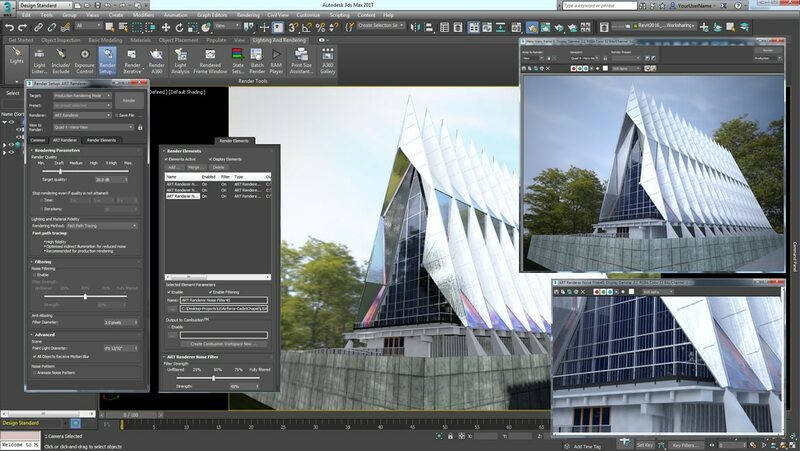 Explore and analyze direct lighting effects on complex architectural designs, and see interactive results right in the viewport. 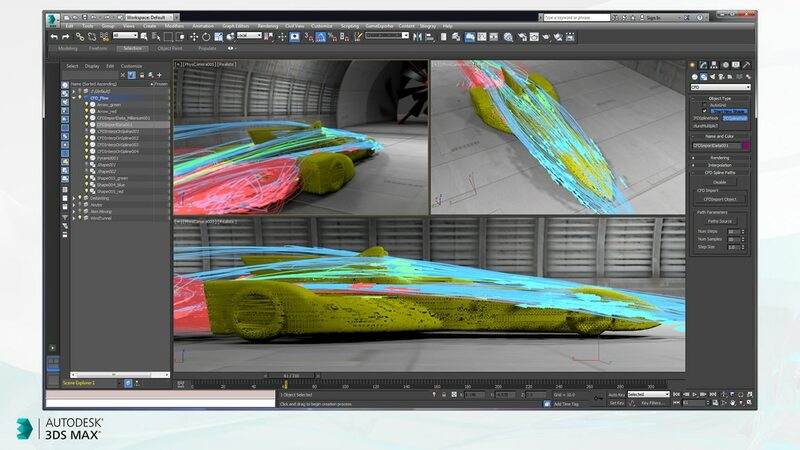 Autodesk CFD subscribers can now visualize how data changes over time with 3ds Max lighting and rendering tools. 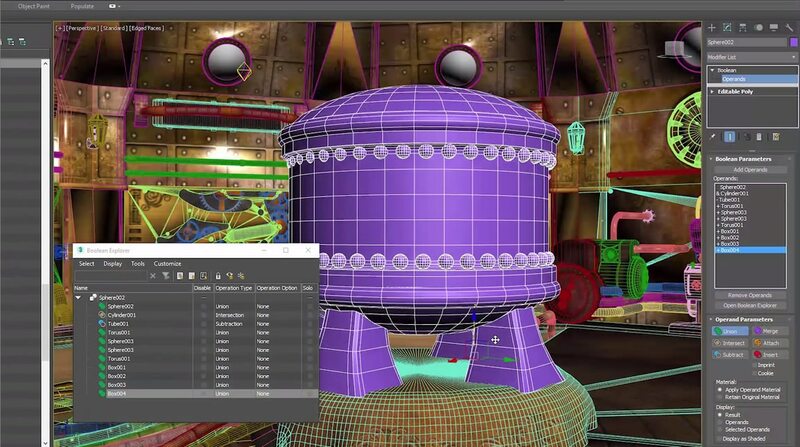 With FBX interchange technology, transfer data from 3ds Max (such as models, animation takes, character rigs, textures, materials, LODs, lights, and cameras) into game engines (such as Unity, Unreal Engine, and Stingray). 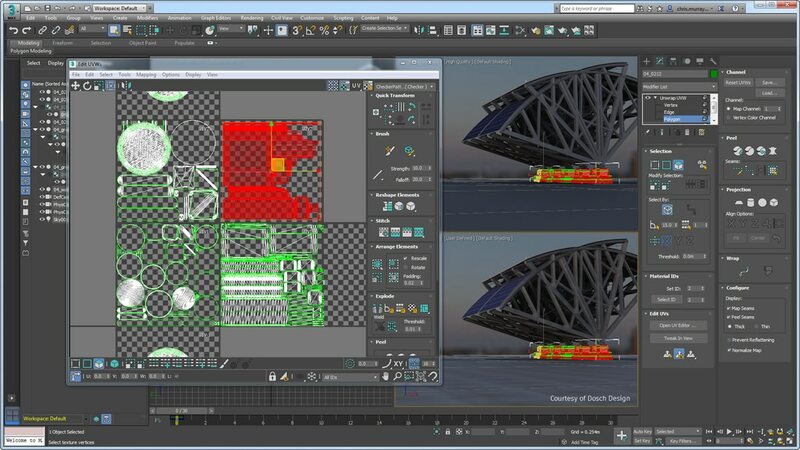 Download Stingray to take advantage of a new live link between 3ds Max and the Stingray engine. 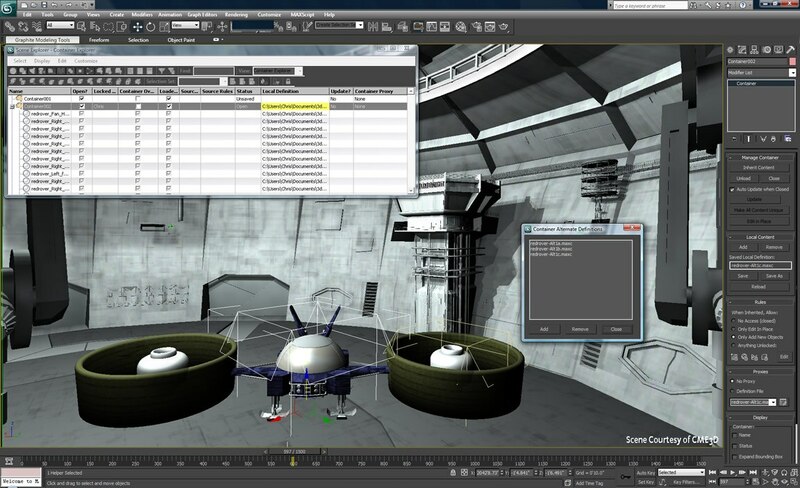 Stingray offers a level of tool interaction that greatly reduces time spent in scene creation, iteration, and testing. 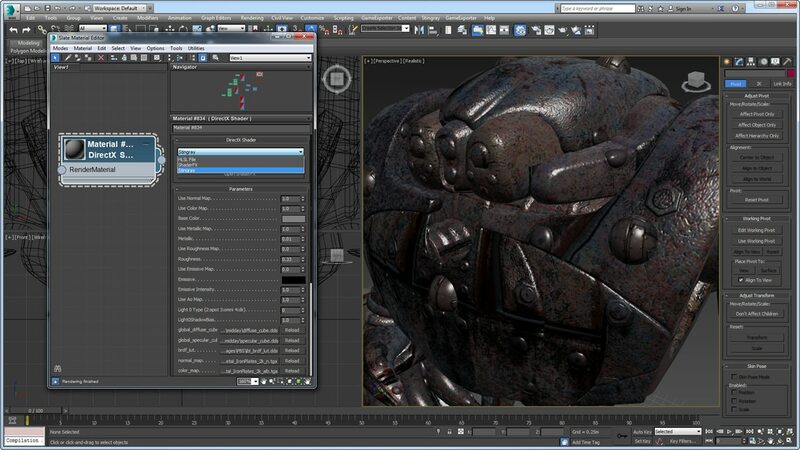 Gain better support for physically based shaders when working with Stingray through ShaderFX enhancements. 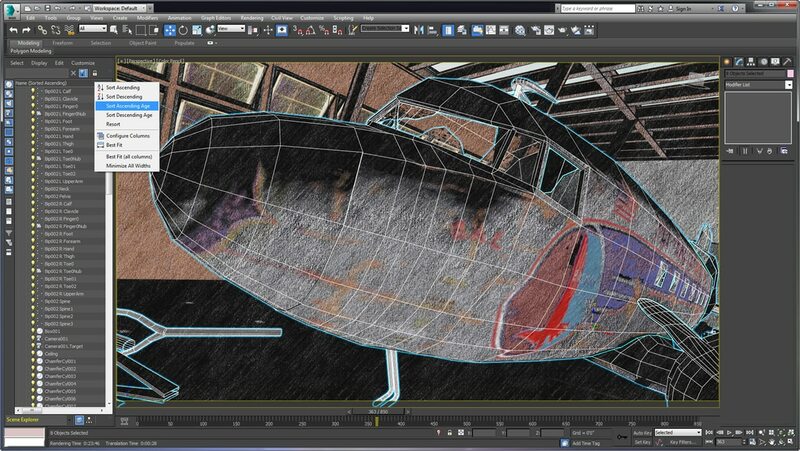 Easily transfer materials created in ShaderFx into Stingray and enjoy visual consistency in both tools. Access 3D content on your local computer and network in a single view, making all content instantly searchable. 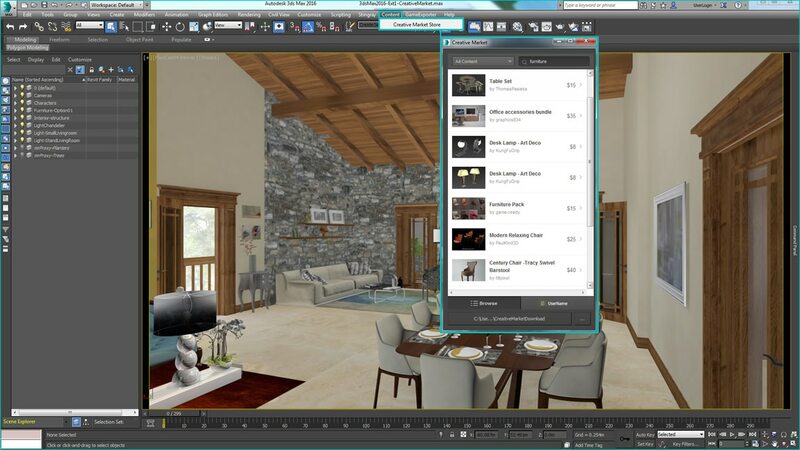 After finding the perfect asset, you can decide how it works once added to the scene through Xref, merge, or replace. Successfully run 3ds Max on modern HDPI monitors and laptops. 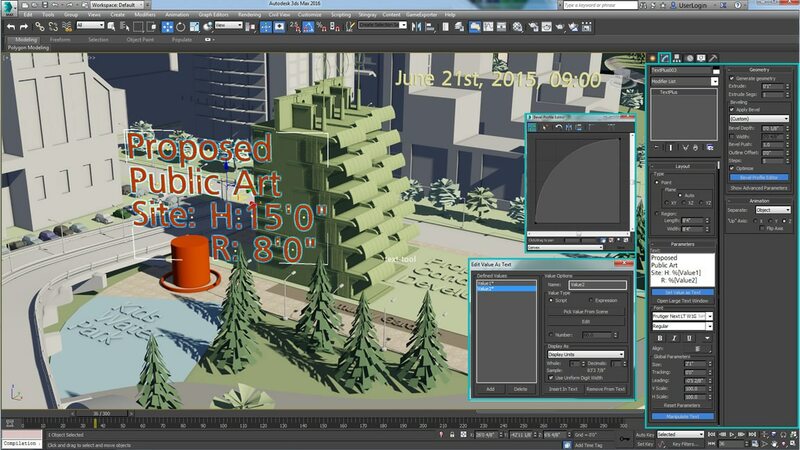 3ds Max now correctly applies Windows display scaling so the UI is more legible on high DPI displays. 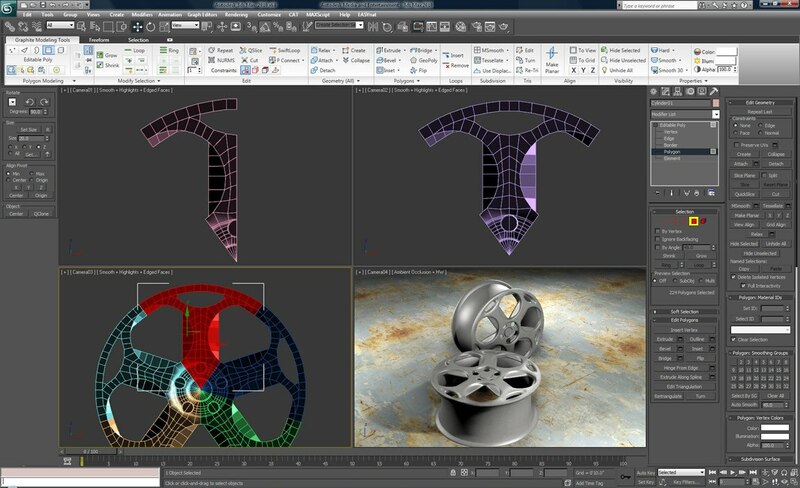 Integrating this programming language as an alternative script language for 3ds Max users enables Python developers to create third-party plug-ins, making new pipeline tools more extensive and accessible. With more rendering technology available, consistently move from one renderer to another as well as to real-time engines. 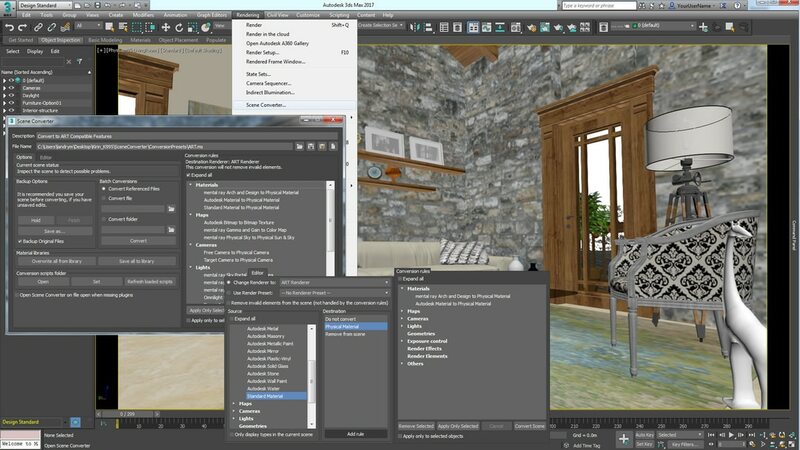 Easily migrate scenes between rendering technologies or quickly prepare for real-time engines, including properly setting lights, materials, and other features. Customize and fine-tune the existing conversion scripts via a simple UI to create source-to-target batch conversion rules. 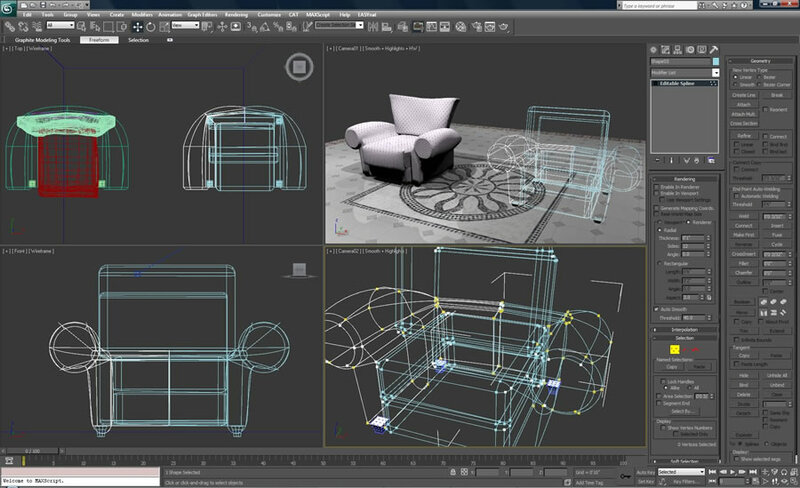 Launch Print Studio directly from 3ds Max when you are ready to make a 3D print of your model, scene, or creation. Buy and sell assets to use in your projects on the Creative Market online marketplace. 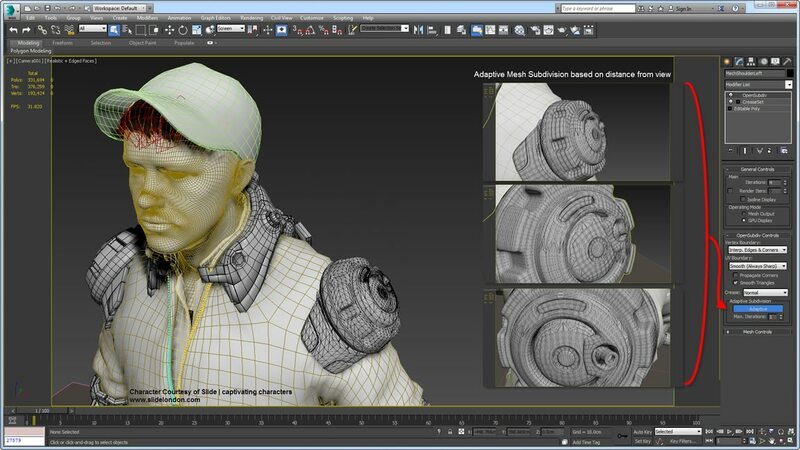 Browse for high-quality 3D content directly from the 3ds Max interface. 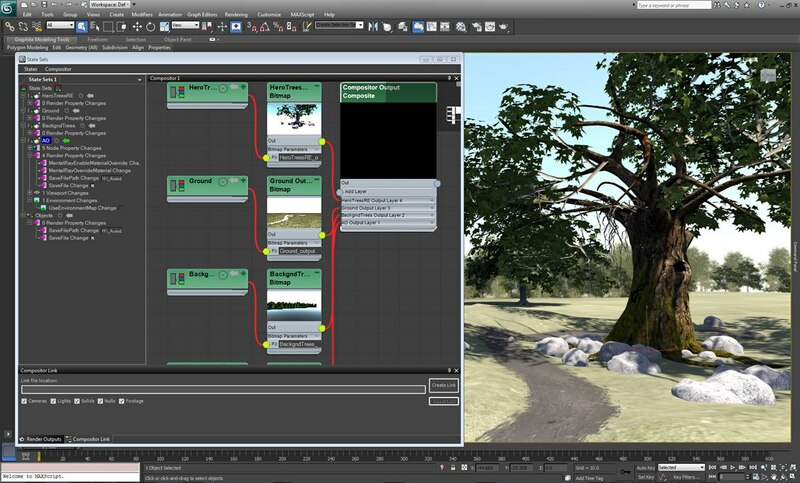 This node-based tool-creation environment enables you extend 3ds Max with geometric objects and modifiers by creating graphs in a visual environment, similar to the Slate material editor. Choose from hundreds of node types that you can connect to create new tools and visual effects. Collaboration across teams and throughout the production pipeline is now easier, thanks to new support for nondestructive animation workflows in XRef and improved stability. 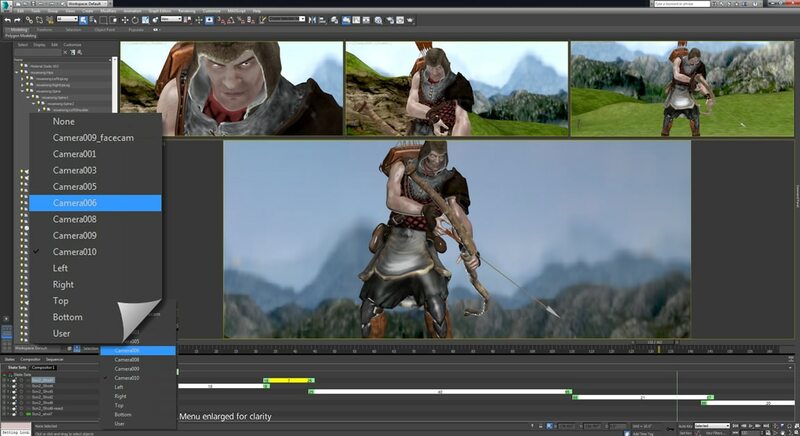 Externally reference objects to your scene and animate them or edit material on the XRef object in the source file without the need to merge the objects into the scene. Local scenes automatically inherit changes made in the source file. Work with complex scenes more easily with performance and stability improvements in the Scene Explorer and Layer Manager. 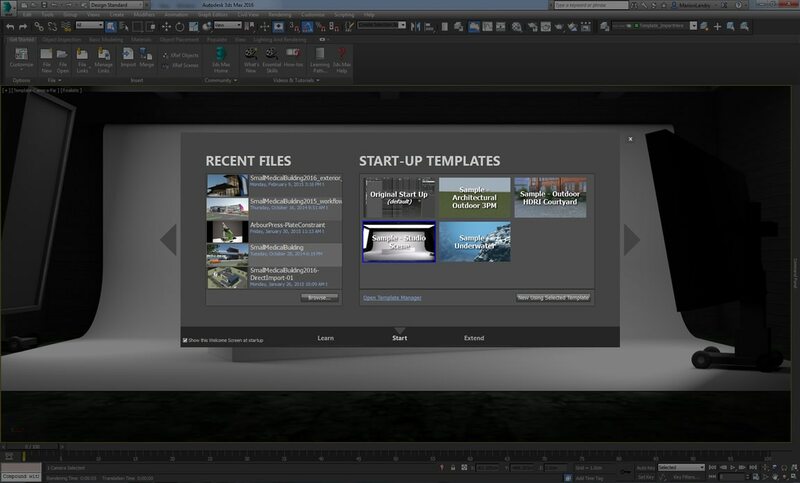 More easily access the main features of 3ds Max with the Design Workspace. Import design data to create impressive visualizations. 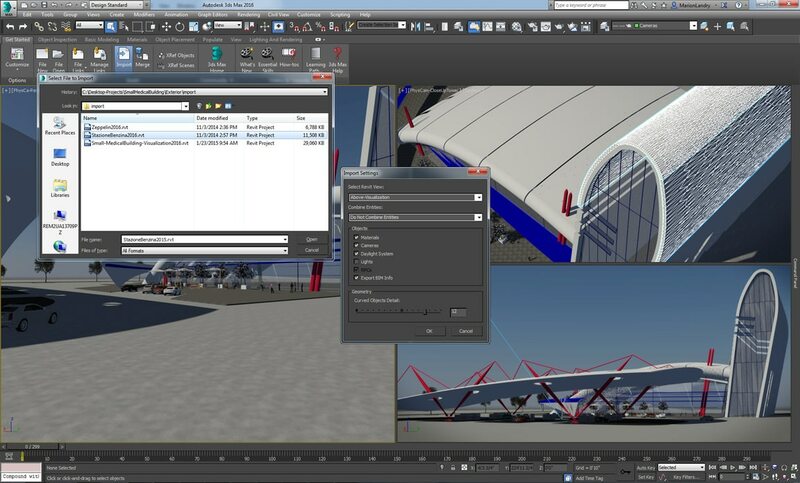 Import and file link Revit .RVT files into 3ds Max directly using a new, tighter Revit integration, first introduced in 3ds Max 2015 Extension 2. 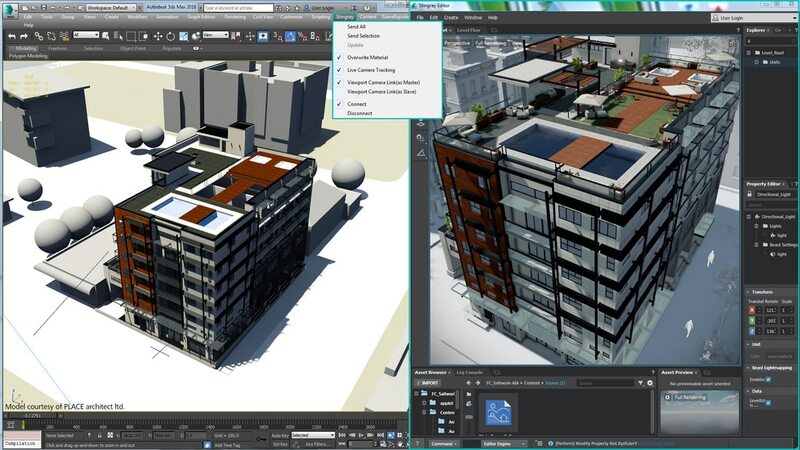 Bring Revit models into 3ds Max up to 10 times faster than before. 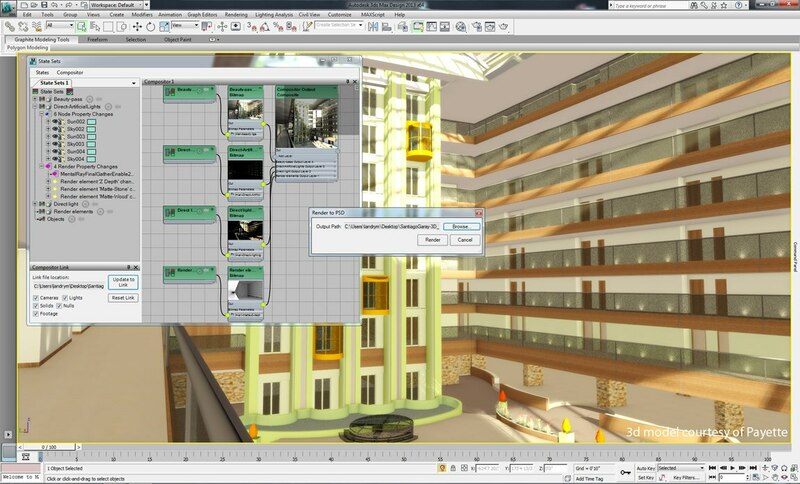 The new integration provides enhanced features, such as improved instancing, additional BIM data, and multiple cameras. Accelerate your scene-creation process with new on-demand templates that provide standardized startup configurations. Share templates across teams and offices with easy import/export options. Create new templates or tailor existing templates to your workflows. View massive data sets in the Nitrous viewport, and transfer them more easily through your production pipeline with new Alembic support. Work with production-proven technology, and move complex data through a pipeline in a manageable form. 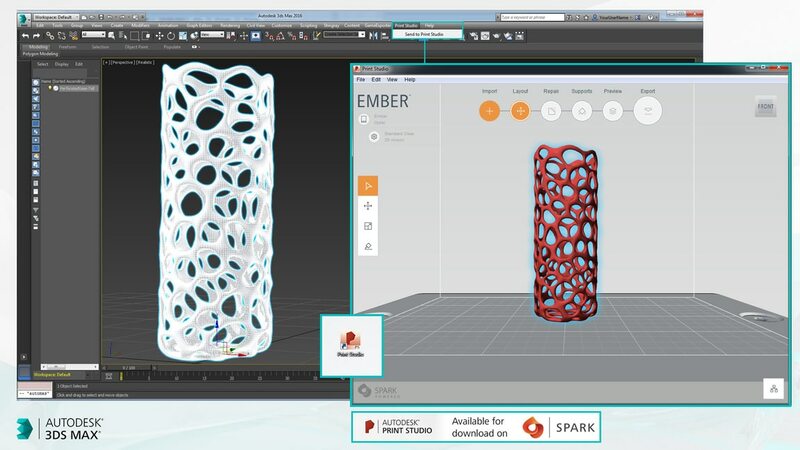 Autodesk Translation Framework (ATF) simplifies data exchange of both Autodesk and third-party file formats, including SolidWorks. 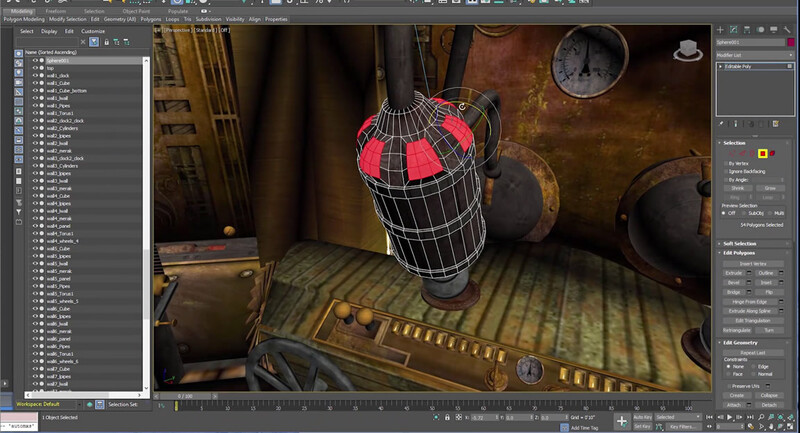 With the ability to import Inventor constraints and Joint Drive animation into 3ds Max as baked keyframes, you can create high-quality mechanical design animations without having to rig in 3ds Max. 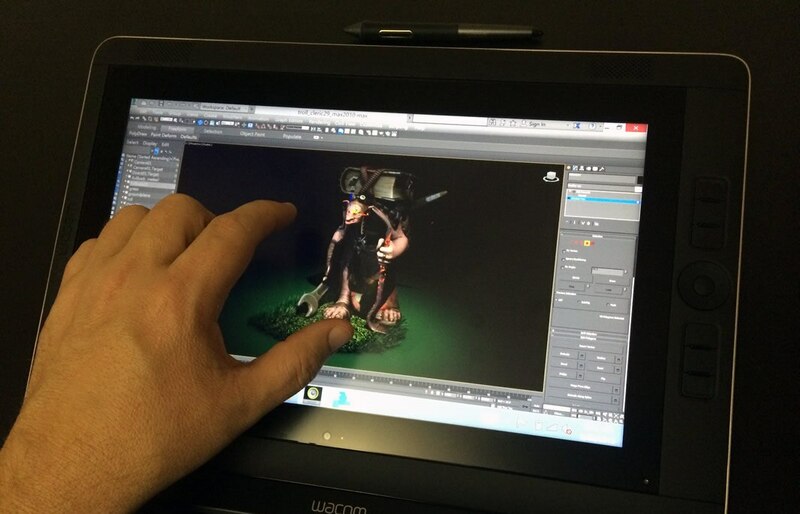 Multitouch 3D navigation offers more freedom when interacting with 3D content. The software supports touch-enabled Windows 8 devices. 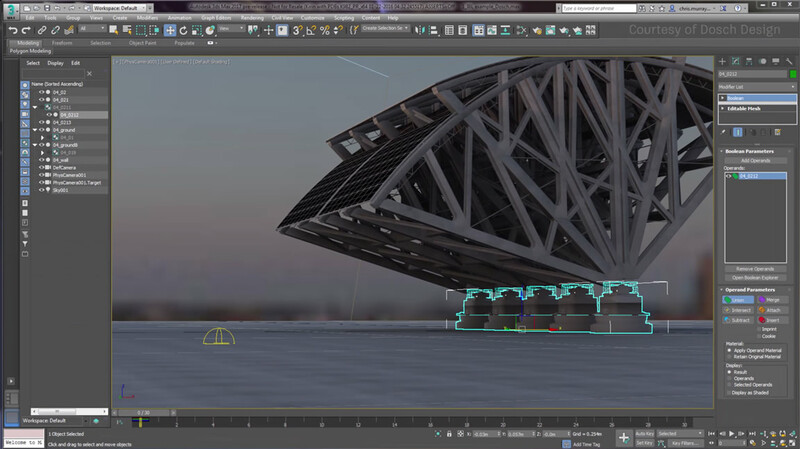 Small changes can make a big difference in the everyday life of a 3ds Max user. 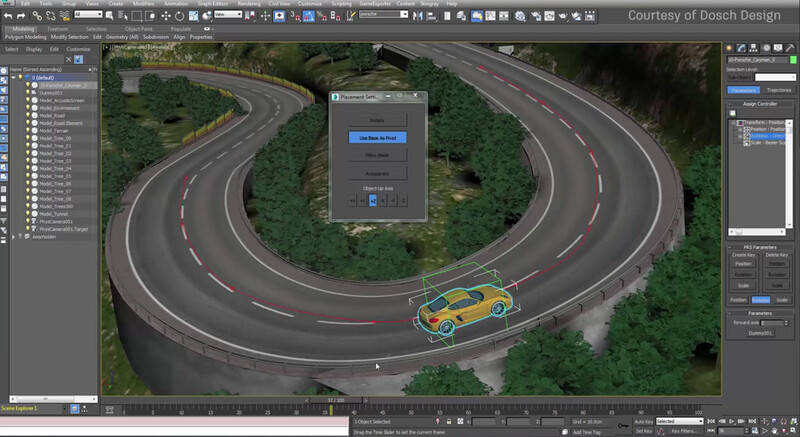 We address up to 10 workflow obstacles identified as high priorities by customers in 3ds Max 2016. Manage complex scenes more easily with enhancements to Scene Explorers. The user interface conforms to the way you work. 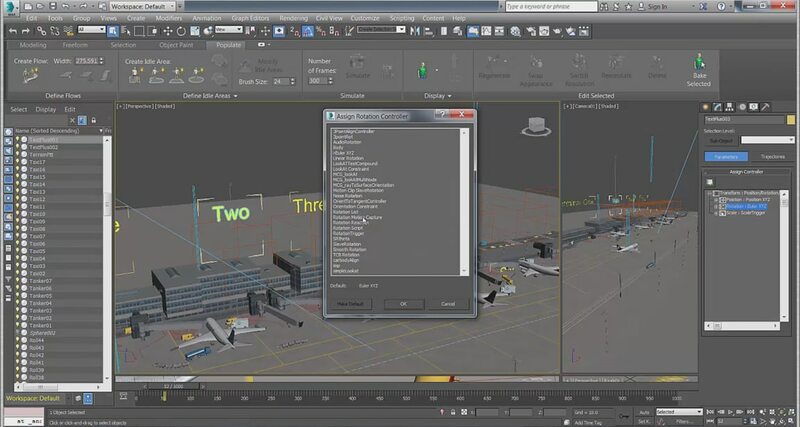 For example, you can configure one workspace for modeling and another for animating, with different presets for menus, toolbars, ribbon, and viewport tabs in each. Import data from many sources and smoothly transfer data across file iterations, software applications, users, and locations. Enjoy advanced interoperability with Photoshop software. Enhance your 3D rendered data and combine it with live-action footage using a choice of compositing options. 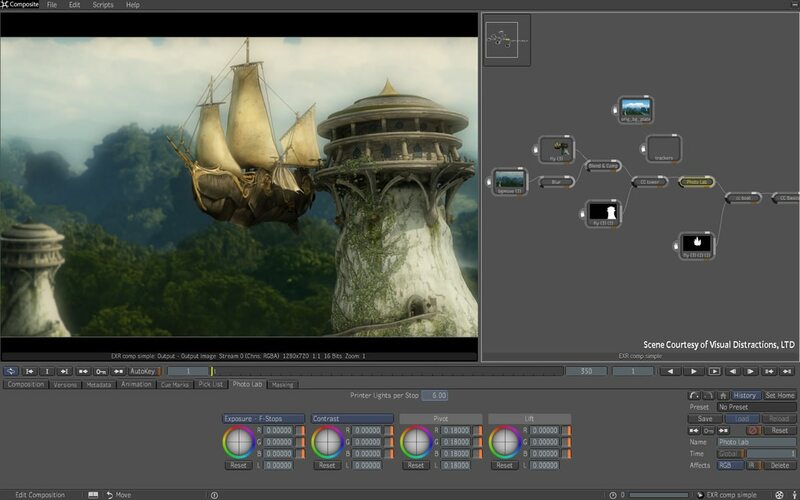 Segment scenes into render elements for downstream compositing in Smoke, After Effects, Photoshop, or certain other image compositing applications. Containers make it easier for multiple artists to contribute to the same scene. Reference containers created by others into a single scene, and layer local edits on top nondestructively. 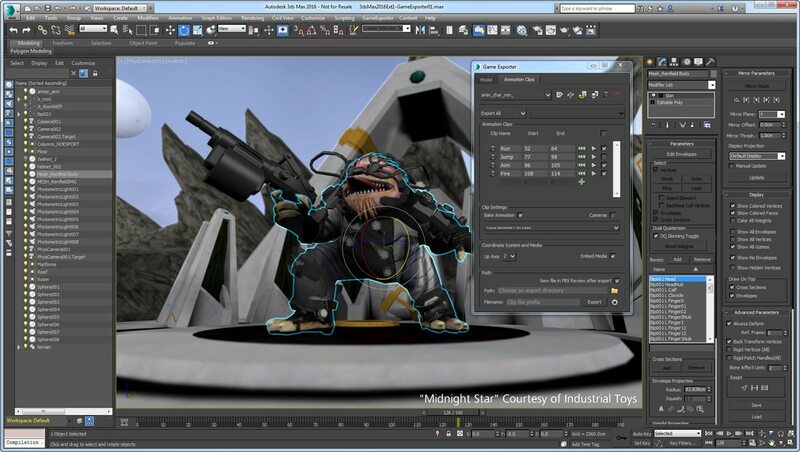 Produce professional-quality 3D animations, renders, and models with 3ds Max® software.